/INS. Iggesund Paperboard’s tradition of producing sophisticated Christmas cards continues. One says every single snowflake is unique and so will the Christmas card 2016 also be. 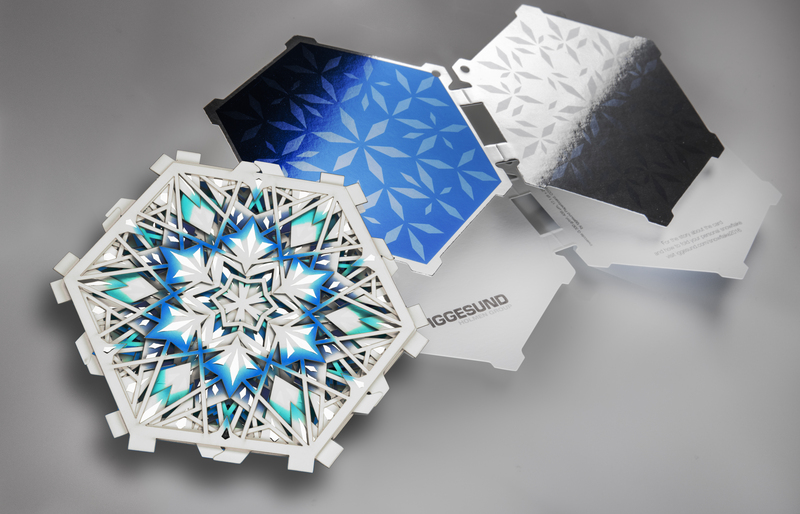 This year Iggesund has created a snowflake that can be folded in many thousands of possible variations, from crystal white to winter blue colours. 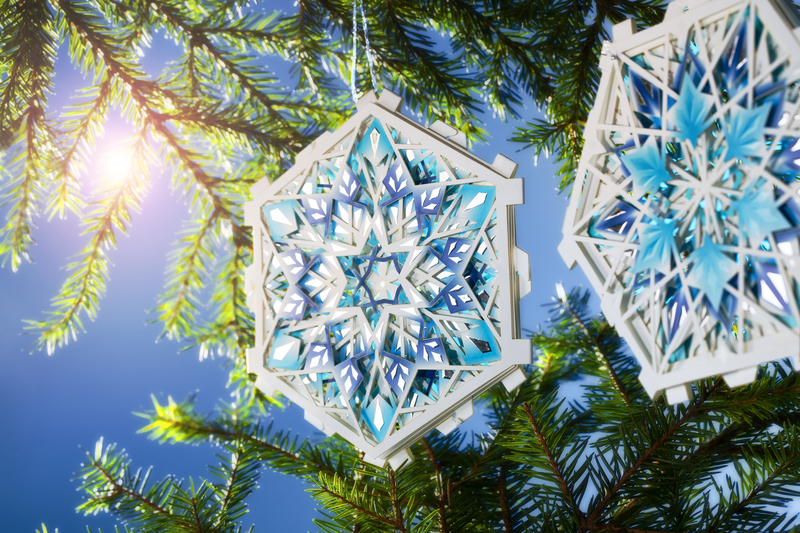 The card consists of seven die-cut snowflakes with each side printed with a different pattern. These 14 variations can then be folded to create more than 44,000 different patterns. The design is the brainchild of German designer Peter Dahmen, who in recent years has specialised in digital finishing, often together with the Israeli print house Highcon. The snowflake created by the card’s recipient then encloses a card made of Invercote Metalprint 359 g/m2 with shades of cyan printed on metal foil and the traditional Christmas greeting on the reverse side. Highcon’s design engineer Yaron Eshel supported Dahmen in the creative process. During the flight the next day he refined the drawings on his iPad and showed them to Eshel on arrival. Dahmen has worked both with digital and traditional die cutting and creasing and is very familiar with all the techniques. But he says digital technology makes it possible to do more fine adjustments at the last minute. Iggesund Paperboard’s motive for producing sophisticated Christmas cards is not only to send an elegant greeting to its customers. “We’re actively looking for new solutions and techniques, or innovative uses of traditional methods, that can inspire our customers around the world. The Christmas card is a printed sample which shows what people can achieve with our paperboards, Invercote and Incada,” explains Iggesund Paperboard’s project manager Anna Adler, who has about a dozen such cards to her credit so far.